Here is an evaluation of the critical examination. It is posted at the SRA forum. It notes some inaccurate data and questionable conclusions in their research. If the link doesn't work copy and paste it to a search engine or address bar. Even without the Poling/Falconer evaluation, anyone with two eyes can clearly see that these two "creatures" are nothing but poorly contrived fakes. I remember back when I first heard about Standing's "evidence photos/videos" I searched them up online to see for myself. Once I saw them I nearly laughed out loud at how truly fake they appear. Not only do the "creatures" look contrived, it's plain to see that the images have been digitally modified. 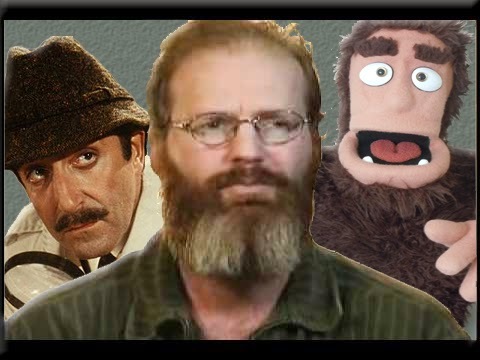 In my humble opinion (former law enforcement and 10 years as a pro photographer) Standing is in the same huckster category as Dyer and his TWO hoaxes, and Erickson who is trying to pass off a pic of an OBVIOUSLY modified Chewbacca mask as the face of a Bigfoot. Frankly, I don't know who the bigger morons are....these hoaxers, or the people who believe them. When you are choosing a new paint color to freshen up your ceiling, it is best to use white on your ceiling. This is great because it is of high-gloss paint specifically designed so that it reflects light. Typical skeptics. No mention of the mouth that moves. The resemblance of the face to Todd is quite the joke, that would work on anyone. To make 3 masks at that quality would be quite the feat and again they don't show the mouth move, only the eye and you have to remember these are nocturnal primates that hide in the day, you wouldn't know they were right beside you. And the fact that experts in the field (Dr John Bindernagel, Jeff Muldrum and others, not to mention Les Stroud that went out and has on numerous times said he believes something is out there) have gone out with Todd and have all said something is out there. Make a replica of these faces and then film them in the bush or photograph them and then I will believe they are a hoax. Replicating faces does not mean it was a hoax. Standing's stories of how these images came to be leans towards them being a hoax. As far as the Sasquatch hiding in the day - there is no proof of this. There may be more daytime sightings than there are night-time sightings. Personally, I believe Standing's images to be the result of a hoax. When the 'Finding Bigfoot crew wanted him to take them to the location where the so-called Sentry footage was taken - did not Standing use the excuse that because there are Mountain Lions and Bears in that area that it would be too dangerous. That excuse didn't pass the laugh test in my view. How can taking four people .... along with a camera crew .... be more dangerous than one man going by himself. And what about the excuse as to why he only took three seconds of film of this so-called Sentry? Did not Standing not say that 'no one believes in film evidence, so why bother filming more than three seconds.' If that is his believe, then why film anything at all! Maybe the creatures he films would do something beyond human capabilities and having it on film would then be of value. And where are the Sasquatch in the film that Standing said the Sentry stood up for? The alleged Sentry was on the side of the hill and nothing can be seen passing by it. I am sorry, but Standing's story doesn't add up in my view. The film shots above are ridiculous. Straight on shots of faces followed by upwards shots looking up the body while being of no concern to the alleged creature - Really??? As far as finding evidence of Sasquatch while with Standing - try taking him out to an area he has never been or had foreknowledge of going to and see if anything happens. 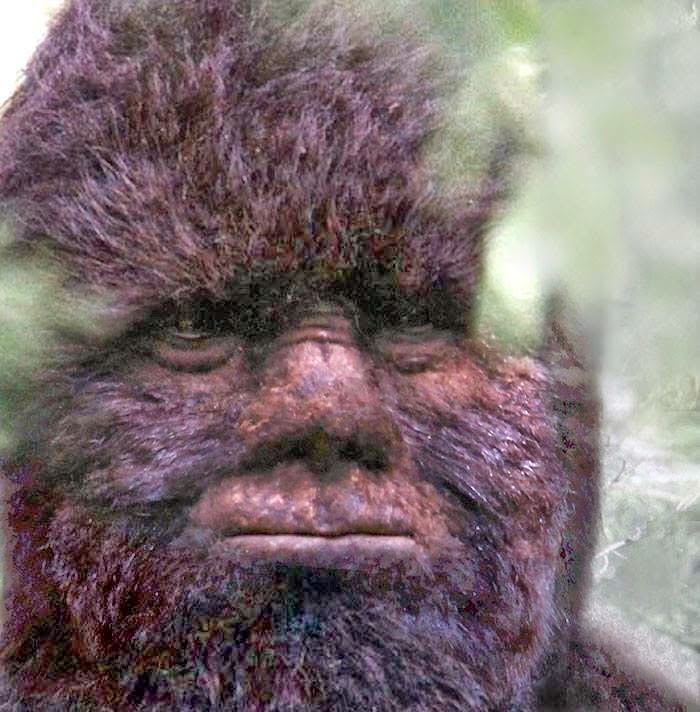 I believe the Sasquatch exist, but just not in Standing's world. You make some good points but you still don't mention the mouth moving. If these were masks how did the mouth move and the eyes? I just don't see a guy from Calgary being able to pull off this elaborate of a hoax. And no mention of the people that went out with Todd. The Finding Bigfoot show which I've never watched a full episode seems like a joke. Growing up on Vancouver Island and spending time in the bush you see the odd black bear but it is so dense and vast that you would need a lot of time to actually investigate a possible sasquatch. And I don't think you would want to go out with a big crew like the Finding Bigfoot crew probably does. Has the Finding Bigfoot crew been to Vancouver island? I would like to see them try to search here. So if someone like Todd has a location he knows and frequents then I could see why he would know if their is wildlife and wether it is safe or not. And does the Finding Bigfoot crew set up camp and stay in one location? If they really wanted to find a sasquatch I would hope that's what they do instead of going from location to location hoping to find one in a couple days or so. As for the video, I can't see why someone would go through the trouble to hoax when they dedicate their life to studying and trying to protect the sasquatch. I believe Todd because I've listened to his radio show and hear his passion on the sasquatch subject. His guests that went out with him believe him and that also makes me think that he is for real. 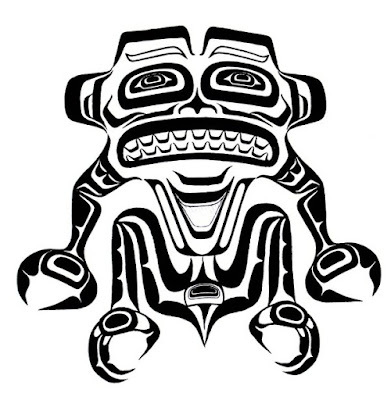 Here is a link to an evaluation of this critical examination written in the forum at Sasquatch Research Association. It notes some inaccurate statements and other questionable conclusions in their research.